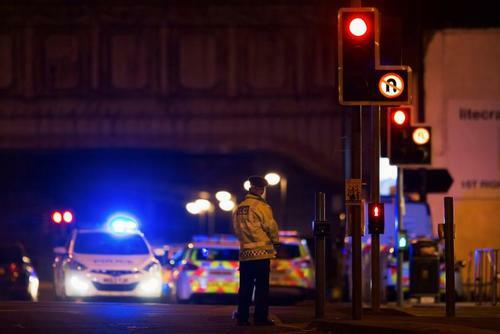 Reuters UKBritish police arrested a 23-year-old man, raided a property in southern Manchester and carried out a controlled explosion in another part of the city on Tuesday in a fast-moving investigation into a suicide bombing at a pop concert. UK PM May's spokesman says the PM has visited Greater Manchester Police's headquarters and Manchester Children's Hospital. Prime Minister Theresa May has had calls with President Trump, French President Macron, Italian PM Gentiloni and Australian PM Turnbull - PM's spokesman. 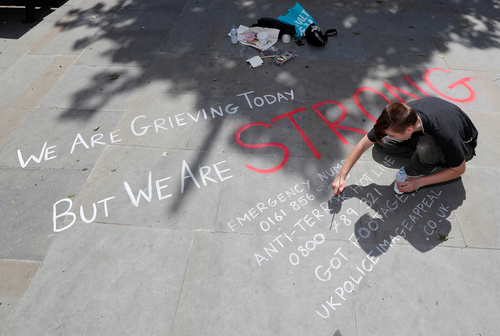 British police call for communities to stand together and support each other after Manchester attack. British police name attacker as 22-year-old Salman Abedi. British police trying to determine if Abedi was part of a terror network. 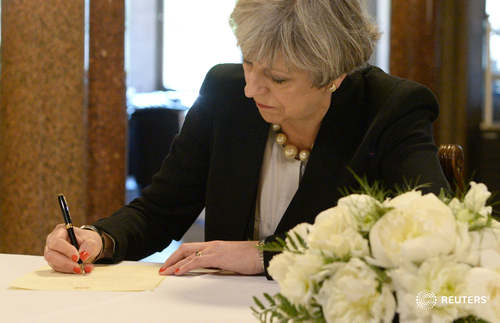 ReutersBritish Prime Minister Theresa May decried a suicide bomb attack that killed 22 people in a crowded concert hall as a sickening act targeting children and young people, and police raided houses in the city of Manchester looking for accomplices. 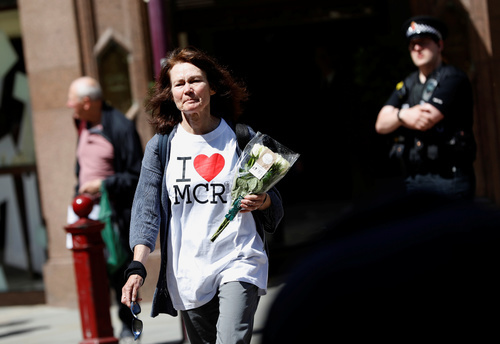 ReutersBritish police on Tuesday identified the suicide bomber who killed 22 people, including children, in an attack on a crowded concert hall in Manchester, and said they were trying to establish whether he had acted alone or with help from others. British police today identified the suspected suicide bomber behind Monday's attack in Manchester as 22-year-old Salman Abedi. Two U.S. officials who have been in contact with British authorities said Abedi was believed to have traveled to Manchester from London by train. Authorities are now trying to determine if Abedi was part of a larger network. 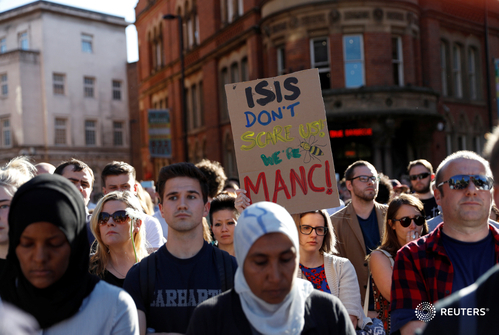 Abedi was born in Manchester in 1994 to parents of Libyan birth, U.S. security officials said, citing British intelligence officials. 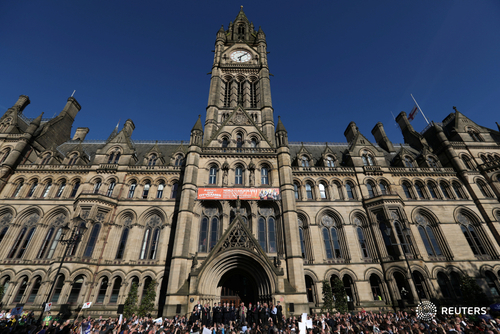 A 23-year-old man arrested by police in south Manchester in connection with the attack on Tuesday was believed to be Abedi's brother, news reports said. His parents emigrated from Libya to London before moving to the Fallowfield area of south Manchester, where they have lived for at least 10 years, the officials said. 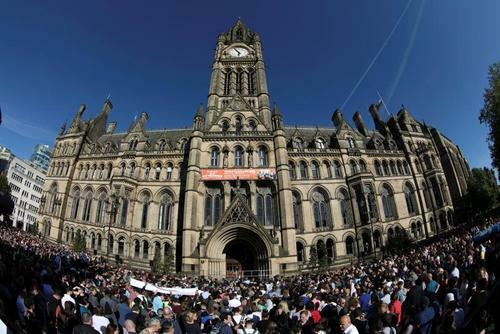 Thousands of Manchester residents gathered in the centre of the northern English city on Tuesday in a show of defiance against a suspected suicide bomber who killed 22 people, including children, in an attack at a crowded concert hall. UK PM May says change in threat level means further attack may be imminent. MORE: UK's May says cannot ignore possibility that wider group of individuals linked to Manchester attack. Ariana Grande returned to the United States on Tuesday, one day after a suicide bomber killed 22 people at the pop singer's concert in Manchester, England, People magazine reported, as questions lingered over whether she would continue her European tour. 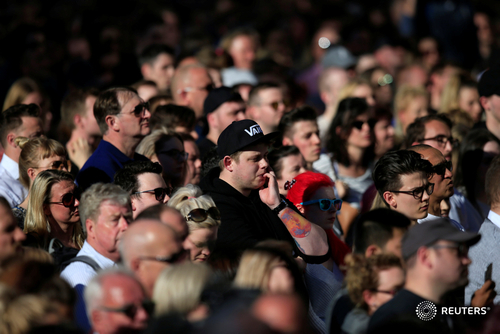 The suspected suicide bomber who killed 22 people at a concert in Manchester, northern England, on Monday has been identified as 22-year-old Salman Abedi, British police said. 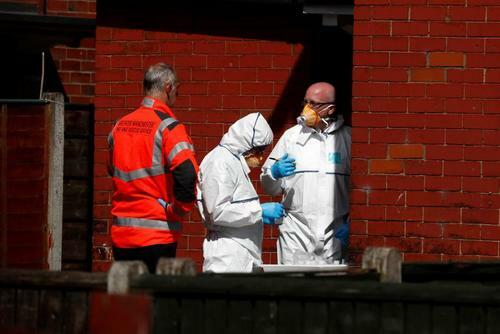 Reuters UKA Polish couple died in the suicide attack in the English city of Manchester, Poland's Foreign Minister Witold Waszczykowski said on Wednesday. 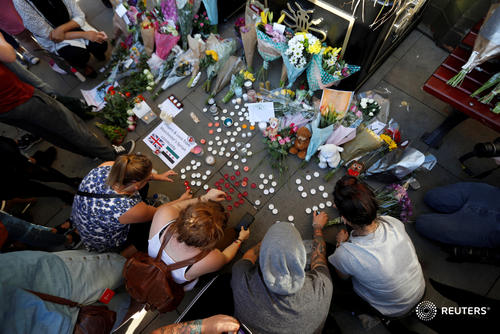 Around 20 people remain in a critical condition after Monday's suicide bombing at a British pop concert, with those wounded battling "highly traumatic injuries" such as damage to major organs and limbs, a health official said on Wednesday. Twenty-two people were killed late on Monday when a suicide bomber detonated a device packed with metal nuts and bolts as thousands of people streamed out of a concert in Manchester, northern England, by U.S. singer Ariana Grande. 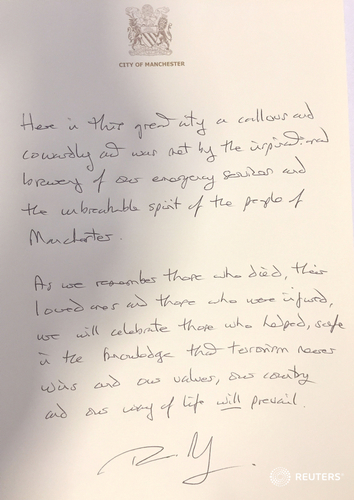 "We are now treating 64 individuals ... of those approximately 20 are receiving critical care, that means very urgent care," Jon Rouse, chief officer for health and social care services in the greater Manchester area, told Sky News. "There is damage to major organs, major injuries in terms of limbs and some of these individuals are going to need very long term care and support. These are highly traumatic injuries." 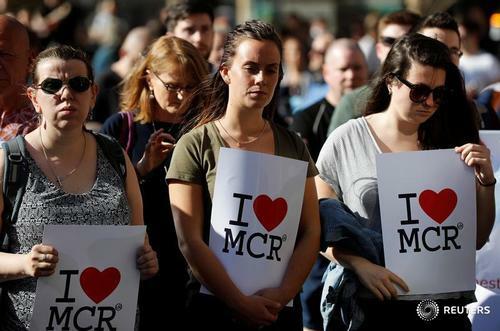 British investigators told French authorities that the suspect in the Manchester bombing had probably traveled to Syria, French Interior Minister Gerard Collomb said on Wednesday. 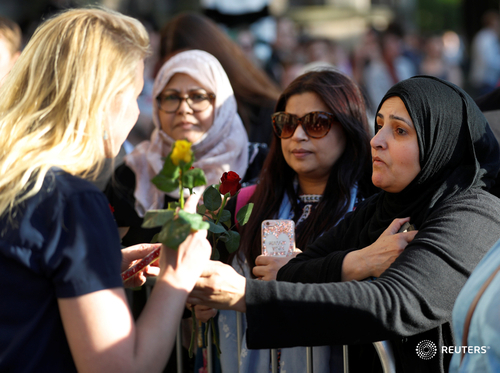 British police said on Tuesday they believed British-born Salman Abedi, 22, carried out a suicide bombing at a concert hall that killed 22 people, including children. "Today we only know what British investigators have told us - someone of British nationality, of Libyan origin, who suddenly after a trip to Libya, then probably to Syria, becomes radicalized and decides to carry out this attack," Collomb told BFMTV. Pressed on how he knew Abedi had been in Syria, Collomb said this was the information that French and British intelligence services had. Asked if he believed Abedi had the support of a network, Collomb said: "That is not known yet, but perhaps. In any case, (he had) links with Daesh (Islamic State) that are proven."